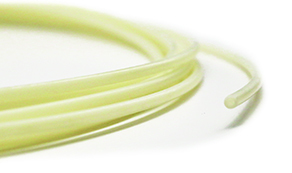 NYLON 6/6 PRESSURE TUBING, TYPE H:Nylon tubing is high quality pressure tubing, available in standard and custom sizes. They are used for applications that require toughness, resilience, a small bend radius and high burst strength. Nylon pressure tubing is a high-performance, long-lasting alternative to copper, rubber, aluminum and other types of plastic tubing. DescriptionType H Nylon high-pressure tubing is thin, heavy walled, general purpose tubing made from Type 6/6 nylon. These products offer the highest strength and are FDA compliant for use in food and beverage handling applications.